Due to the success and popularity of The Main Street Farmers Market, the Pittsburgh History & Landmarks Foundation sought to build on local support and expand the market. PPS was hired to explore the feasibility of expanding and relocating the market to Wiley Station, a historic train station just down the road from the market’s site. While the train station’s owner was amendable to housing a public market, the location of the station and its size posed several challenges for the potential expansion. The project began with a site visit in which PPS visited the existing farmers market, evaluated the train station and its location in town and facilitated a stakeholder workshop to determine what residents wanted and needed in a public market. PPS also conducted research including vendor and customer surveys, an evaluation of potential sales for an expanded year-round market, and a gravity model for determining the viability of the historic Wiley Station site. 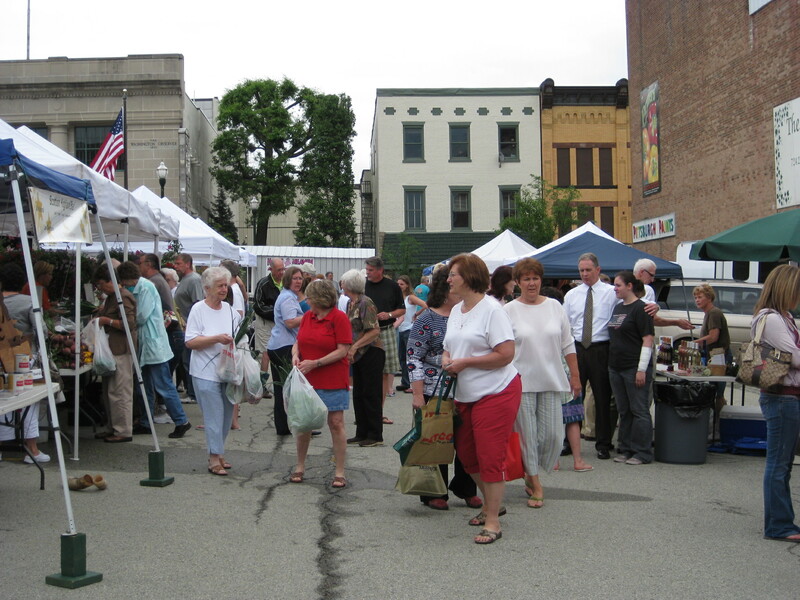 Building on the idea of expanding the original market, PPS identified several alternatives to creating an indoor, year-round public market that could still grow the market successfully into the future, including creating a market store that sells goods from local farmers year-round and building a shed at the current market location which could be used for the market, parking, and other community events. In the end, although PPS concluded that an indoor, year-round public market might not be economically feasible in Washington and that the Wiley Train Station was not the best location for an expanded market, market organizers did move forward with plans for constructing a permanent market shed instead. In spring 2015, construction on the 15,000 square foot pavilion began which will provide festival space for the farmers market and a wide variety of community events. When not in use the pavilion will provide lighted, sheltered public parking for customers of area businesses.